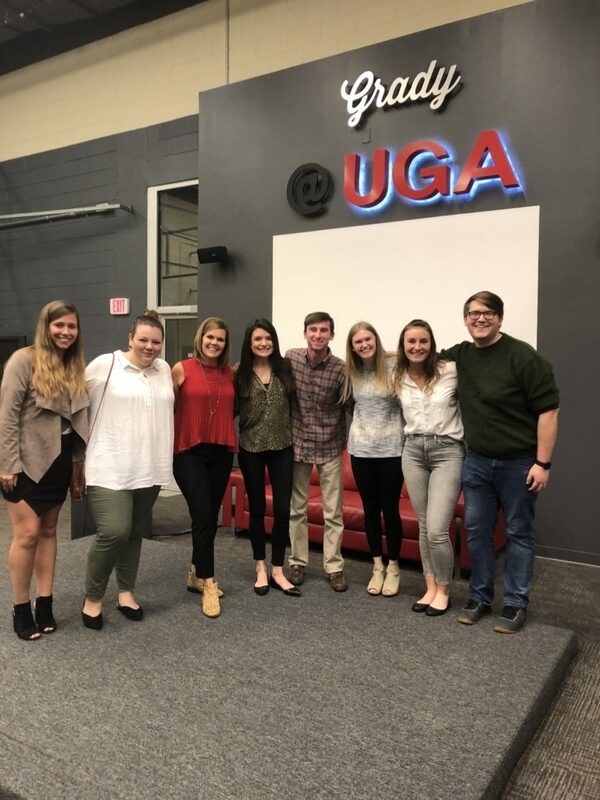 Suzanne Rutledge, the Director of Public Relations at See.Spark.Go and UGA Grady College alumni, joined us on Tuesday to discuss her career journey, the memoir that she wrote about her travels around the world and tips to be successful in the PR world. Rutledge, who works locally in Athens, Georgia, started in the Grady College as a Broadcast News major. After working for the WHSV news channel in Harrisburg, Virginia, she decided that broadcast journalism was not the path for her and began to pursue Public Relations. Rutledge believes that trying all the aspects of PR is an instrumental part of growth in the profession. Following her career in broadcast journalism, Rutledge returned to her Georgia roots and was hired as the Manager for Corporate Social Responsibility at Coca-Cola Enterprises in Atlanta. With new responsibilities, Rutledge was eager to learn and excitedly accepted the opportunity to take a three-week trip to Antarctica with Coca-Cola Enterprises Social Corporate Responsibility employees from around the world. That was only the beginning of Rutledge’s travels. She ventured to London with her husband before returning to Athens to first work at Jackson Spalding and then at See.Spark.Go. Then, at forty-years-old, Rutledge and her family decided to travel the world for nine months. “It was an opportunity to get outside of my comfort zone,” Rutledge said. During the time abroad, Rutledge travelled through a number of countries, encountered a variety of different people, volunteered with animals and at orphanages and felt the fabric of various cultures and communities. Outlined in her memoir The Rut to the Ledge, Rutledge reflects on the aspects of PR that she learned while she was travelling around the world. With such simple living and fast travels, Rutledge learned to be organized, a skill she believes in essential in the PR world. She also acknowledged the need to adapt to be resilient and adjust when problems arise. “You have to be willing to adapt to change. Don’t panic. Go back to your core goals,” Rutledge. constantly-evolving PR world in regards to social media, podcasts, Influencer Marketing and LinkedIn. In the end, Rutledge believes that PR serves a purpose in the world greater than just publications or social media posts.